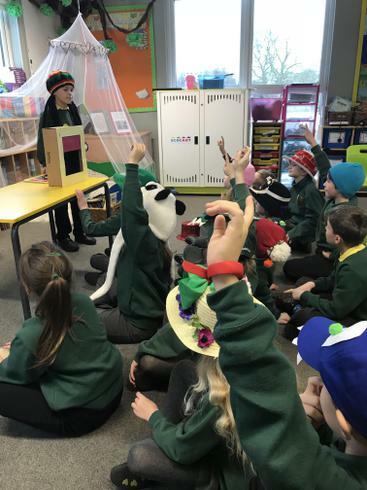 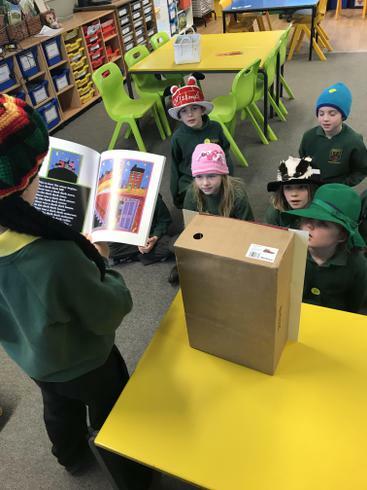 Today on 'wear a funny hat day', we had a book in a box presentation by Olly the rastafarian! 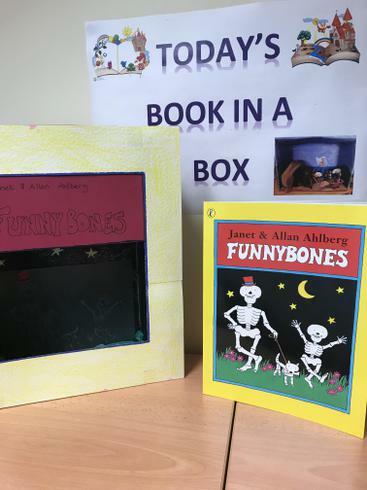 Olly chose the book 'Funny Bones' as his inspiration; this is a favourite classic children's story for many of our class and also Mrs Farmer! 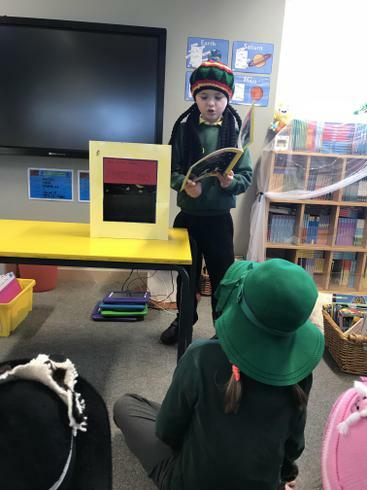 Olly read some of the text and described all the adventures the skeletons go in during the night. 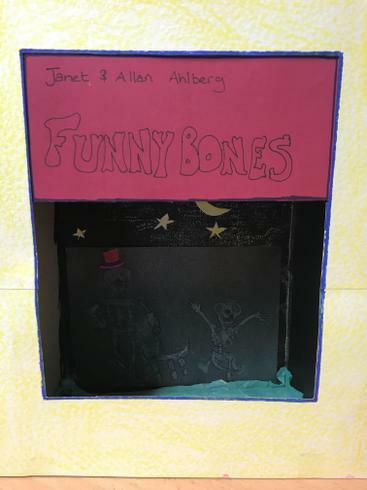 He also showed his features of the book in the box; he had drawn the characters and the night sky inside, which had been done extremely well. 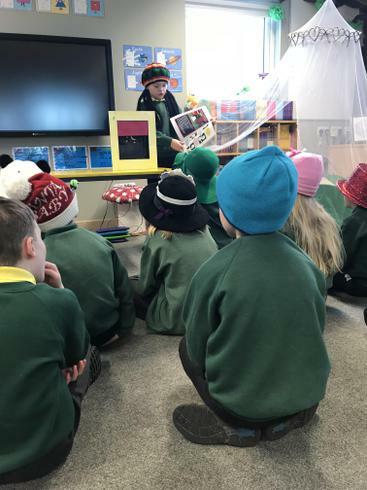 Clearly Olly spent a lot of time creating his presentation and we all really enjoyed it! 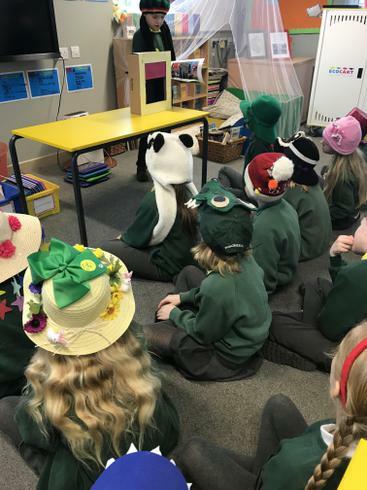 Thank you Olly.